Approx. 5"x6" when open; with 2.25" visible when wrapped. Luggage handle covers are not only functional - as they quickly help you identify your luggage on the airport carousel, they can make a stylish statement when you combine them with one of our luggage tags. The soft polyester fabric wraps snugly around handles to make carrying your bag more comfortable. This luggage handle wrap can also be use on shoulder bags, gym bags, purses, shopping bags and even seat belts. We offer covers in 100s of different designs and each can be easily customized by you in our design system. You can change the background, the colors, the personalization style. You can also upload your own design or a photo and add personalization to your art. 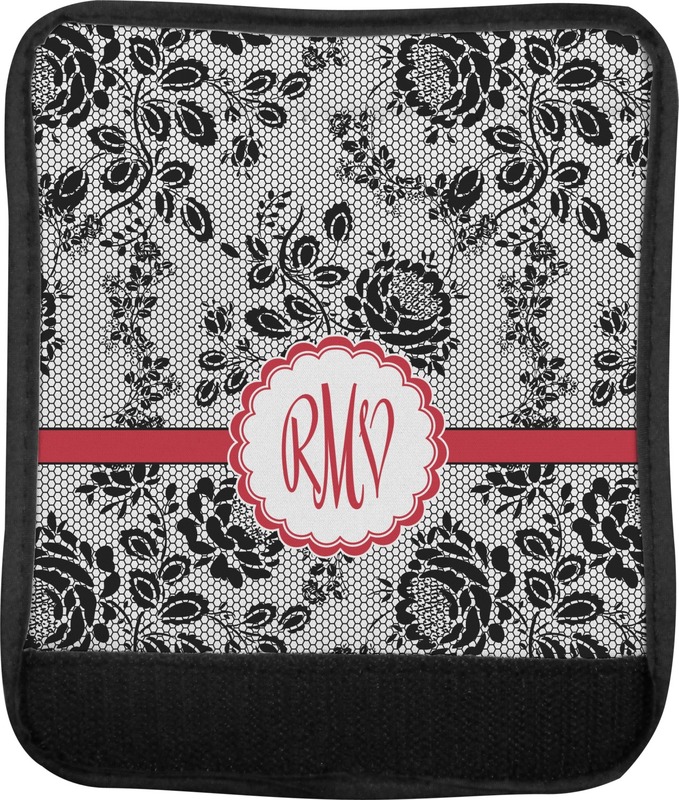 Create a luggage tag in the same or coordinating design and you will travel in style. The luggage handle covers are made of neoprene with black trim and have Velcro closure to snugly fit around the handle. 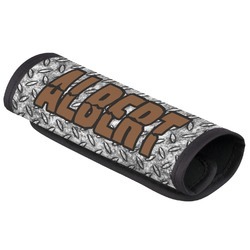 Your design is printed on the neoprene. The covers measure approx 5"x6". I am so happy with my personalized luggage handle cover. It’s unique, well made & beautiful. I’m very happy I purchased this item to match my luggage tags. Awesome quality, awesome customer service!!! Not only is the product quality awesome, but the customer service is fantastic. I made a mistake on my order and they contacted me via phone and email to ensure that the handle cover was customized correctly before they produced. My son is getting lots of compliments on this cover, highly recommend! I love the fact that it feels comfortable and is easy to clean. Looks great and appears to be well made and should last for many trips.